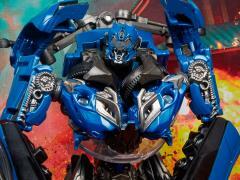 In Transformers: Age of Extinction, the battle for the Seed ignites in the streets of Hong Kong. 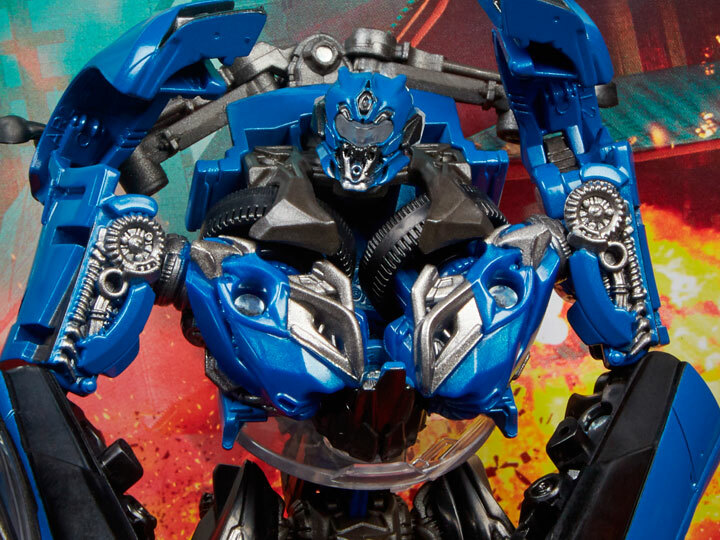 Hijacked by Galvatron, the KSI Sentry combat drones flood the city, attacking the Autobots and their human allies in a relentless pursuit of the Seed. 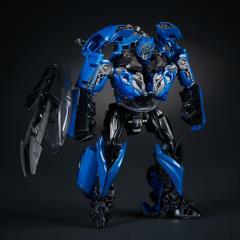 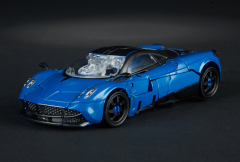 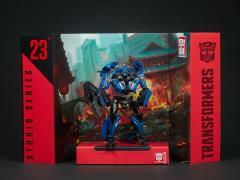 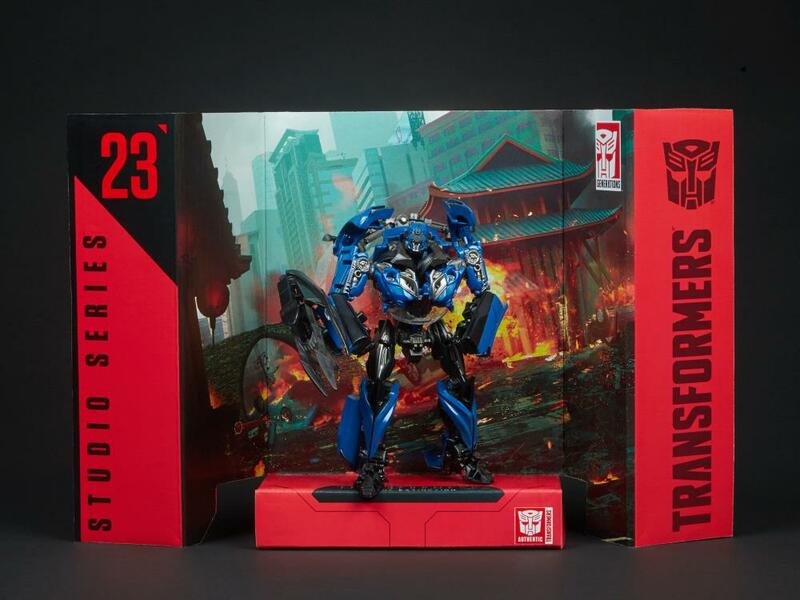 This Studio Series 23 Deluxe Class Transformers: Age of Extinction KSI Sentry figure converts from robot to Pagani Huayra sports car mode in 19 steps and comes with a detailed accessory inspired by the movie. 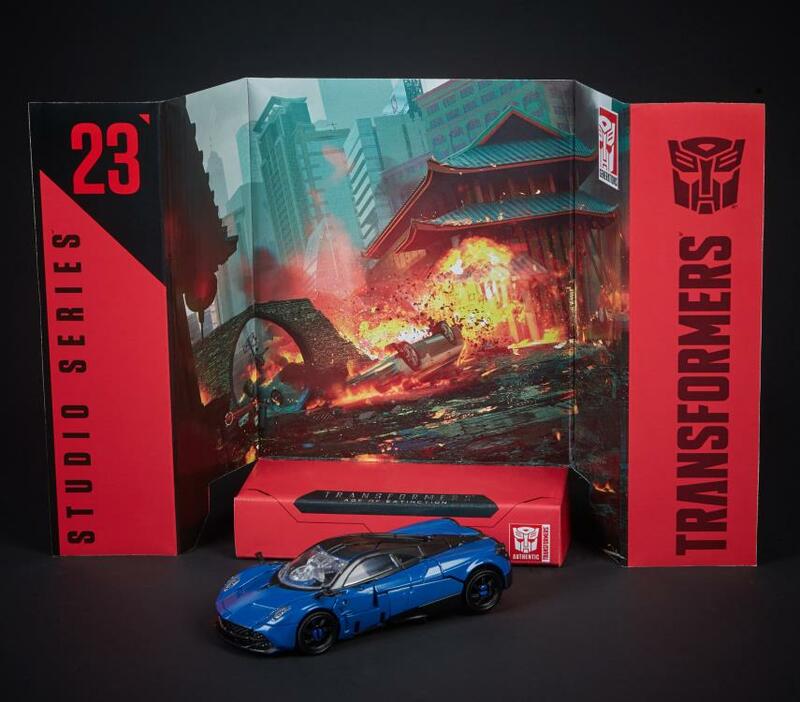 Remove backdrop to showcase KSI Sentry in the Hong Kong pursuit scene! Removable backdrop displays KSI Sentry figure in Hong Kong pursuit scene!